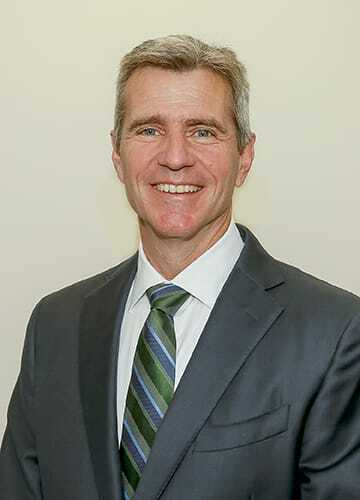 Kevin P. Galvin graduated from Fordham University College of Business Administration with a Bachelor of Science degree in Public Accounting and is a member Beta Gamma Sigma honor society. He received his Juris Doctorate in 1988 from Fordham University School of Law. He is admitted to practice law in both New Jersey and New York; is a member of both the Banking Law and Corporate Law Sections of the New Jersey Bar Association; and is a part of the New Jersey Bankers Association. Throughout his career, Kevin has counseled clients in the formation of business entities, joint ventures, and general corporate matters. Kevin represents commercial banking institutions in various financing transactions; and lenders in commercial loan workouts, restructures, and foreclosures. He also represents both buyers and sellers in acquisition and sale of businesses and commercial real estate, respectively. As a part of his practice, he handles commercial leasing transactions for landlords and tenants in preparing and negotiating office, retail and industrial leases. Additionally, he has represented clients in negotiating the sale of stock and/or assets to publicly traded companies.